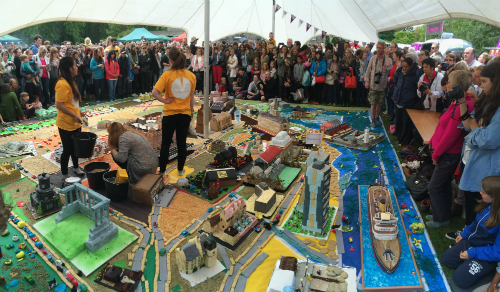 We went to Cake Fest, and ate some of Edinburgh. Wolves can make places better, hard things can make life better. Really. Ben Stuart explains. Vlad Savov looks at how Apple and other tech companies are trying to regain the human touch in their products. The nonsense of "real sports fans" is gets lambasted by Jack Moore. The excellence of church-run parent and toddler groups is noted by Jubilee Plus, with advice on how to do them well. Every Christians struggles with doubt at some time or other, so it's worth reading Krish Kandiah's advice on how to help others when they do. You don't have to make your own annotated Bible as the American theologian Jonathan Edwards did, but Matthew Everhard suggests how you can still learn from Edwards' example.